Just in case you have being having difficulties at activating your Airtel SIM to access and browse the internet on your 3G Apple iPad, you need to worry no further. 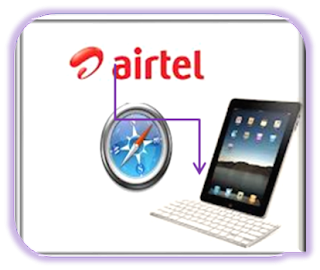 This article explains a step by step process you should follow to activate and configure your 3G Apple iPad to access and browse the internet using your Airtel SIM. To do this, first, you need to buy or get an Airtel micro SIM which could be found at any Airtel shop, outlet and dealers nationwide. Register the SIM if it has not being registered and wait till it is activated. If you have waited enough and you are sure that the SIM has being activated, insert it into the iPad and then, make the move to configure it for browsing the internet by locating the Settings Icon on the iPad home screen. Please note that before you proceed, you must have subscribed to any of the Airtel Internet Bundle Plans.Check for the list and activation codes and details of the Airtel Internet Bundle Plans Activation here. Now, you can press the Home Button to exit the page and save the settings. Once done, to test if the settings has taken effect locate and lunch any browser on the iPad and see if it browses. If it does, then your iPad is set to accessing and browsing the internet using your Airtel SIM.